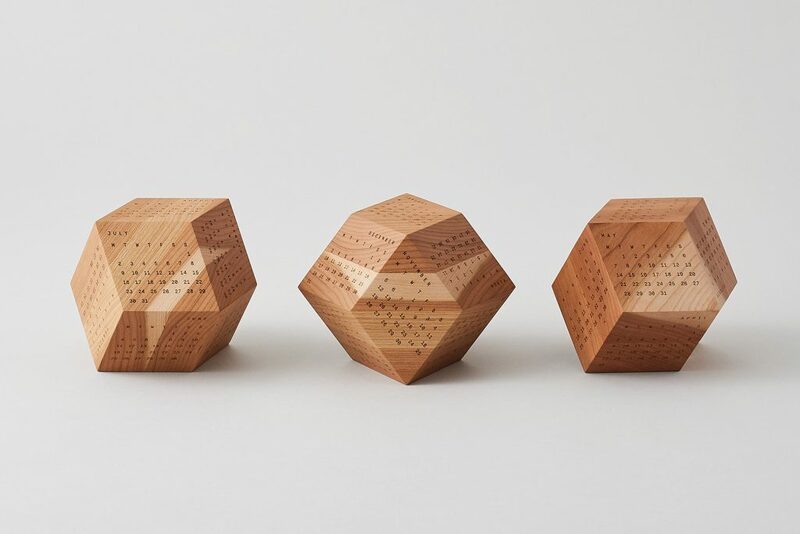 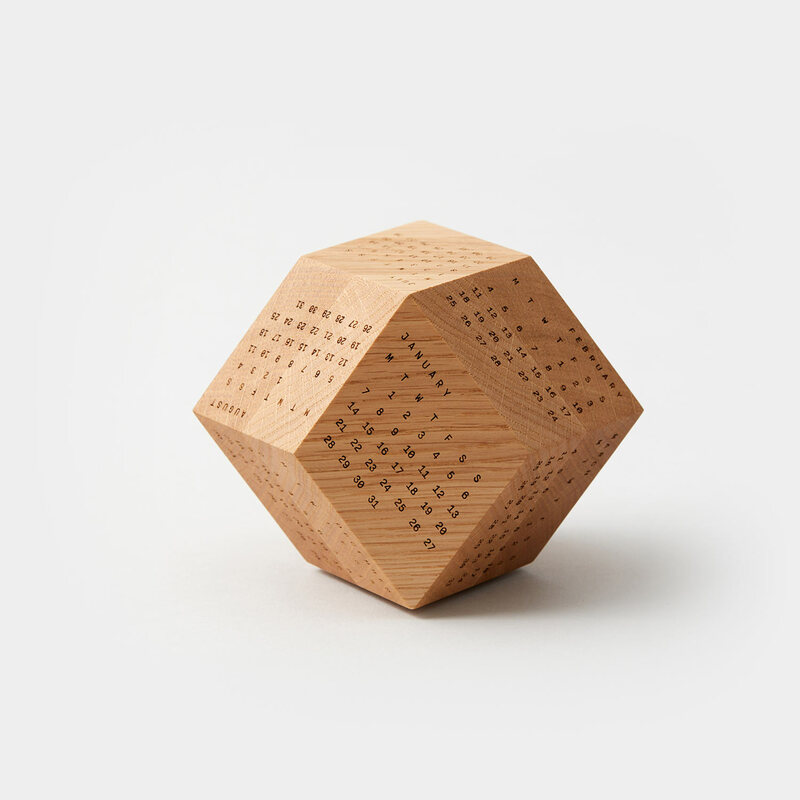 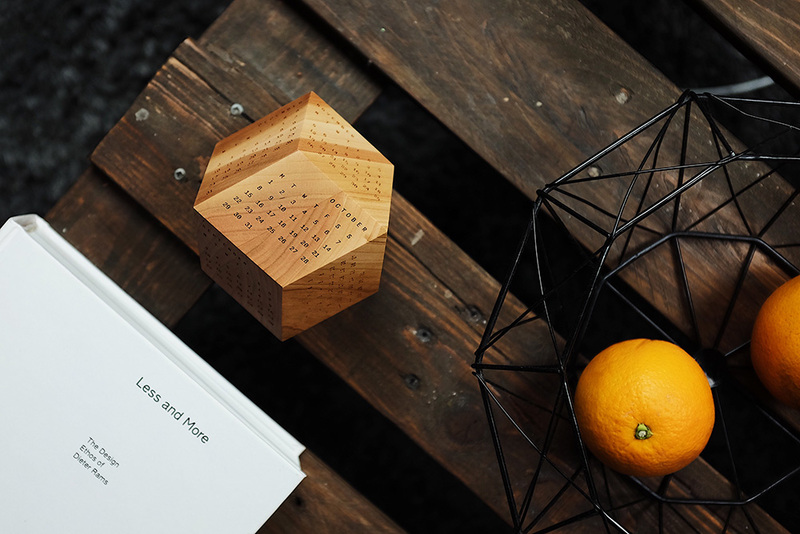 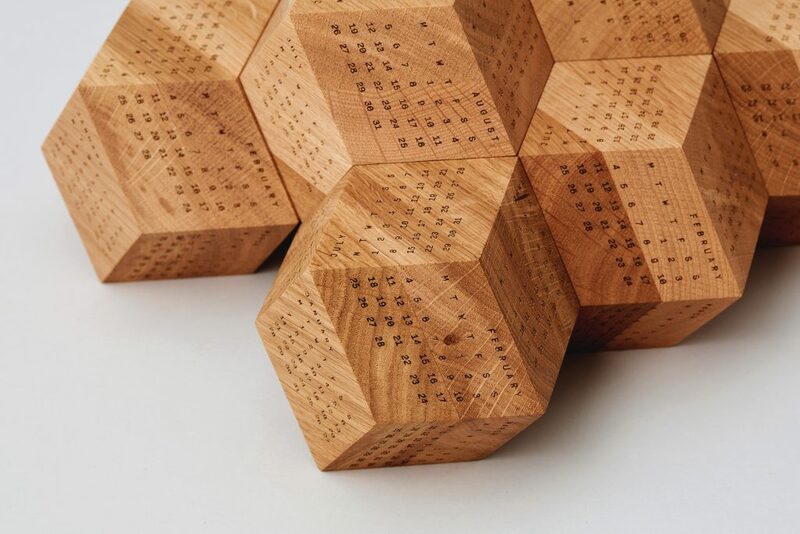 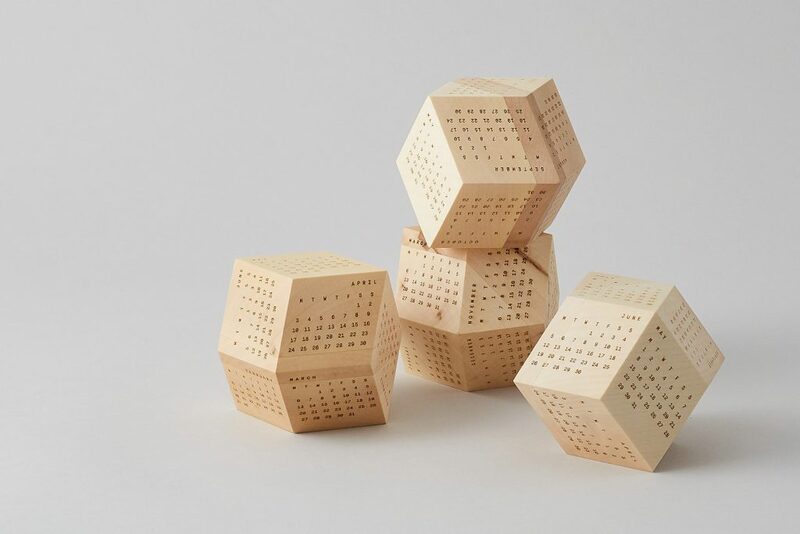 DodeCal is a wooden polyhedra calendar, designed with mathematical precision, hand-finished in high quality English Oak. 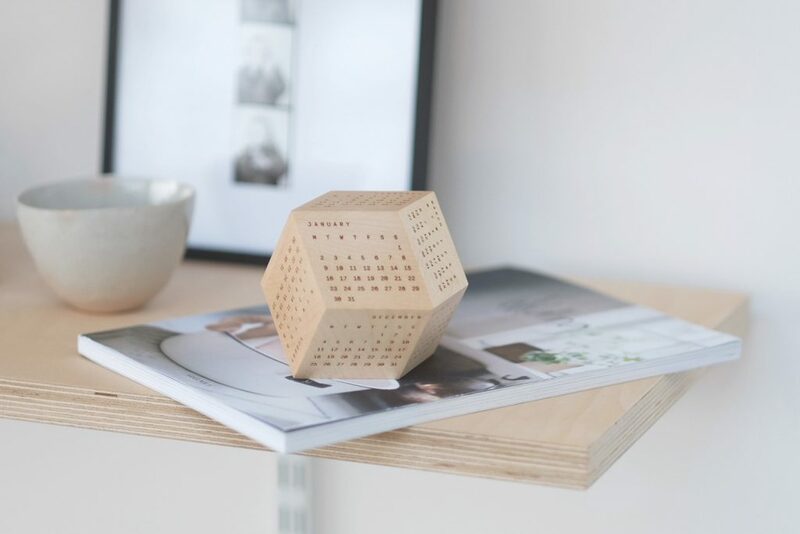 A tactile, three dimensional object that combines functionality and contemporary design, DodeCal makes a welcome addition to any home or workplace. 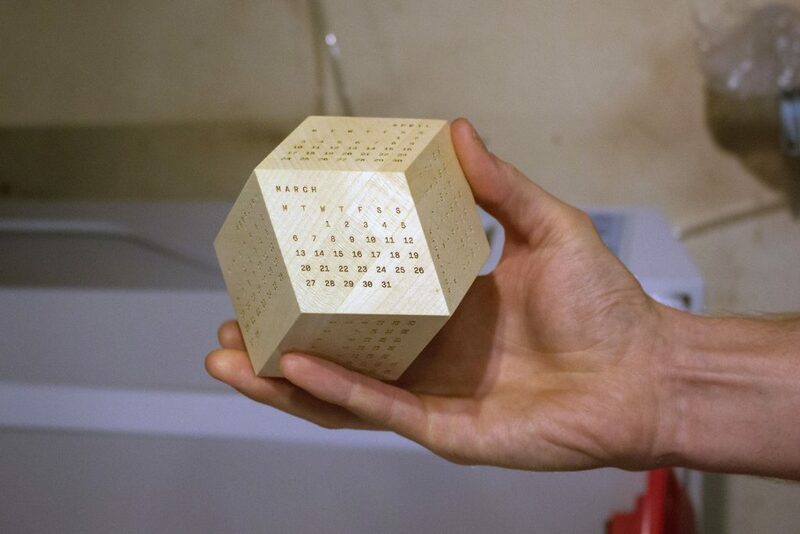 Feel free to interact with the calendar on the right and give it a spin for yourself. 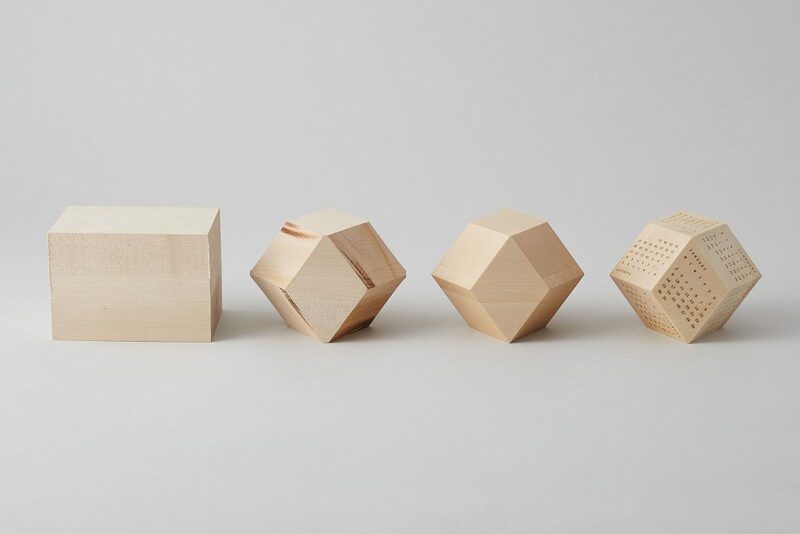 What started out as a quick idea scribbled in a notebook, after many prototypes, samples and trials, resulted in a partnership between 3 people all with very individual skill sets. 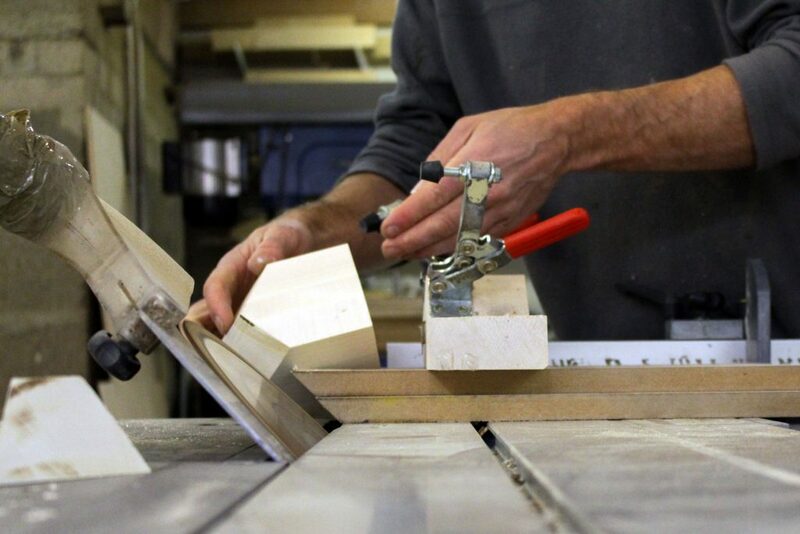 Our production process celebrates the union of modern design, traditional woodworking and digital technology. 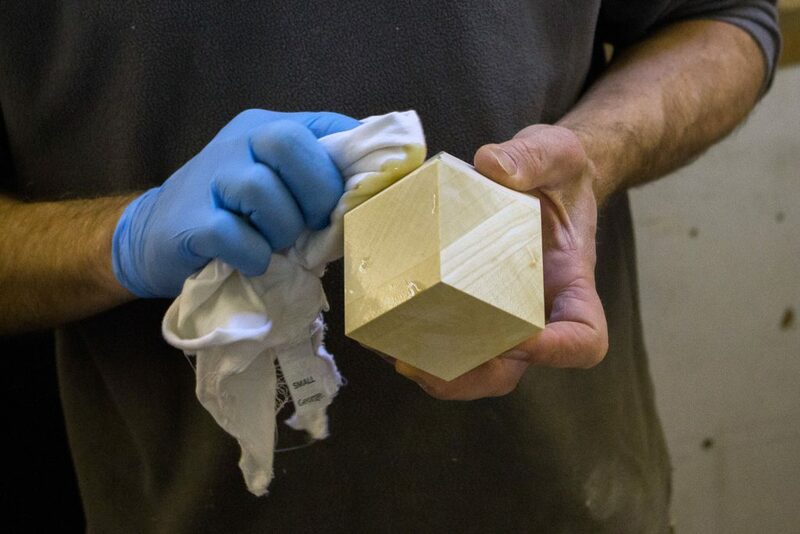 Revealing the dodecahedron shape from a single block of material was one of the biggest challenges facing the team. 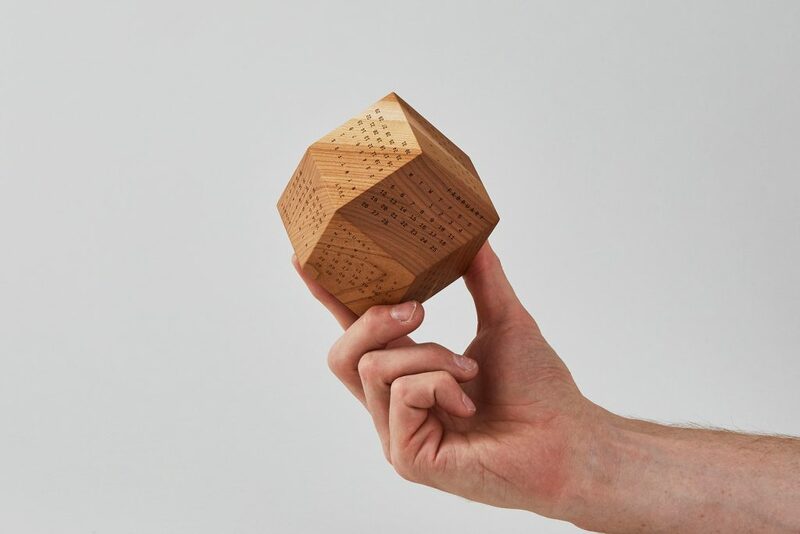 The dodecahedron is then mapped into the computer software, where each side is laser engraved, rotating the calendar 12 times by hand in-between each month. 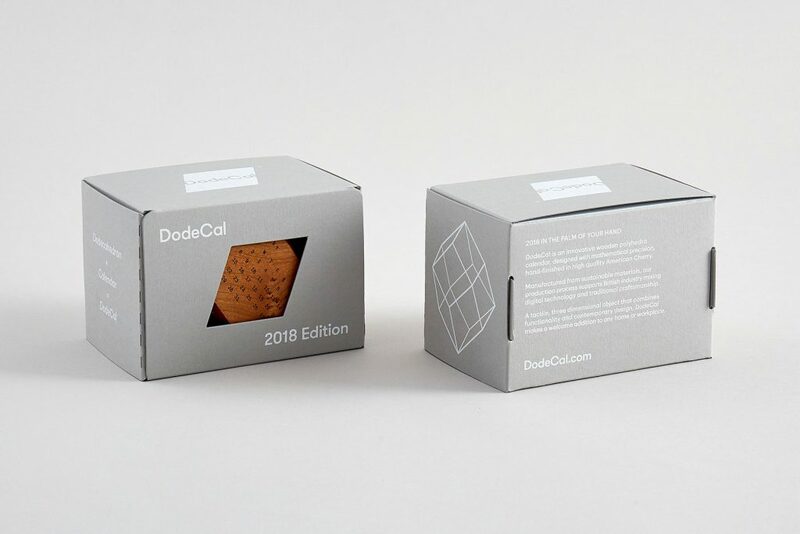 DodeCal 2017, made from a French sycamore, launched in October 2016 and sold out 7 days later. 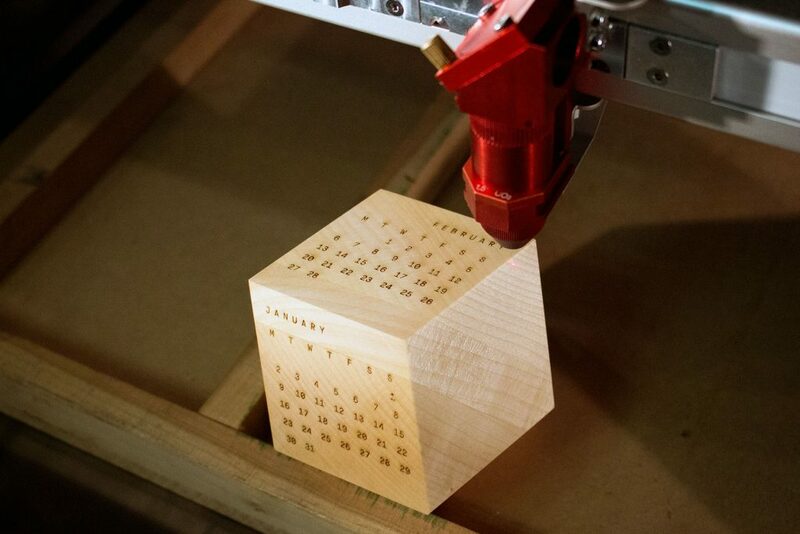 Due to popular demand we were able to produce another run of calendars, which sold out again in record time. 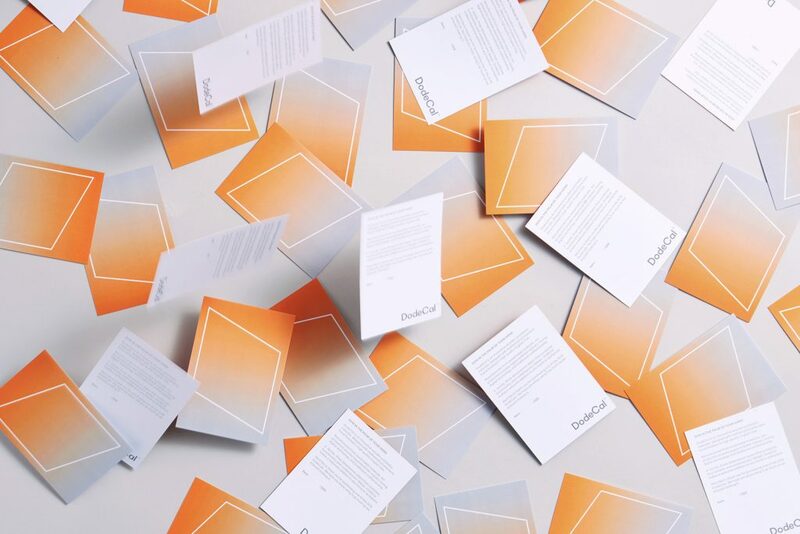 In our first year we shipped over 200 DodeCals to 22 different countries; it goes without saying we were blown away by the positive response and wonderful comments from happy customers, retailers and press. 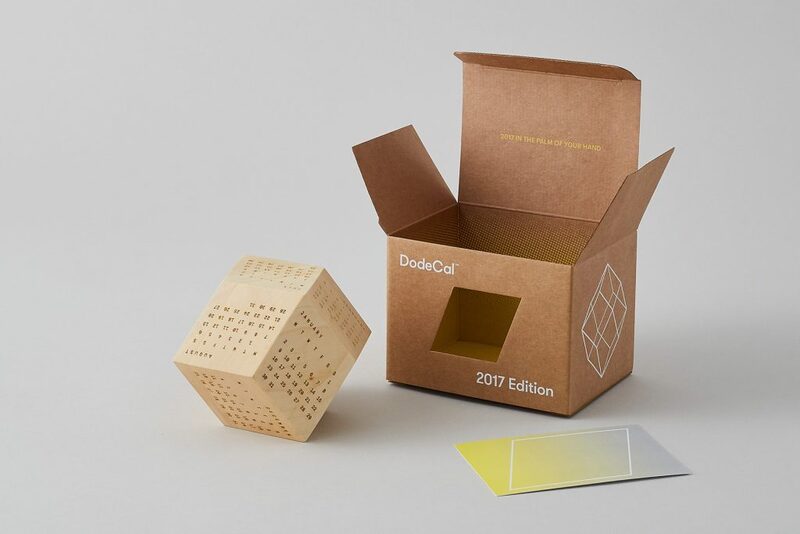 Wired.com wrote a great feature on the product, we were in numerous calendar reviews and even received a hand-written postcard from Sir Paul Smith thanking us for his DodeCal. 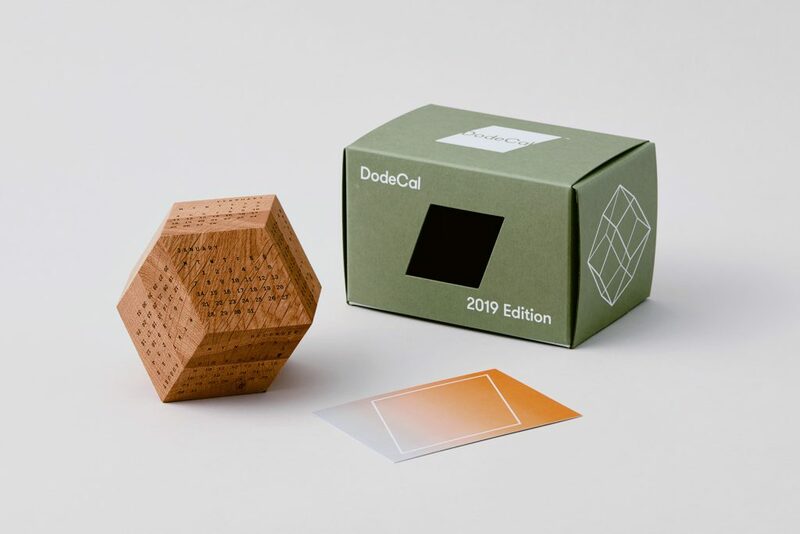 DodeCal 2018 was crafted from a beautifully rich American Cherry full of interesting colour and natural grain and was stocked in The Conran Shop, Barbican Shop and twentytwentyone. 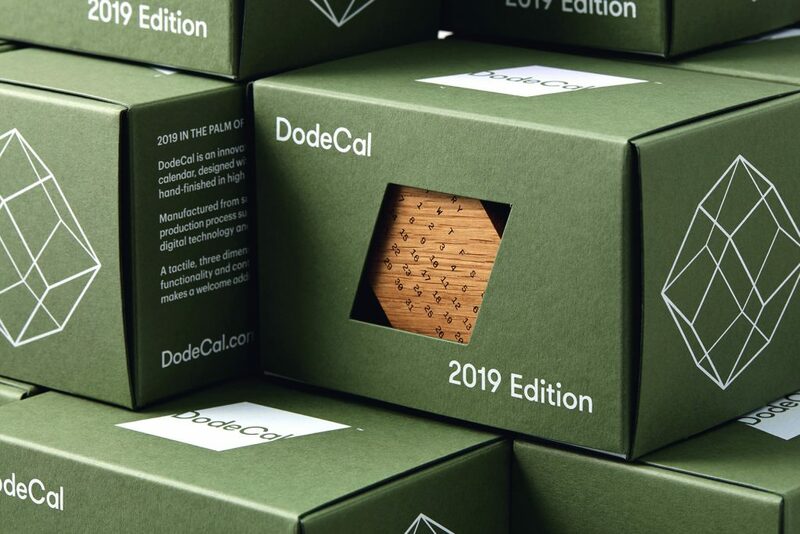 The 2019 Edition of DodeCal is made from English Oak. 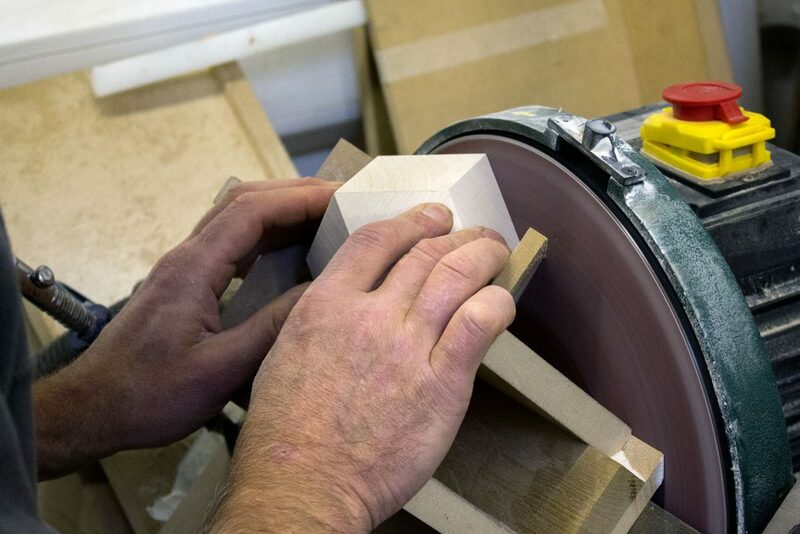 All of our wood is responsibly sourced by our timber suppliers who support sustainable forest management programmes. 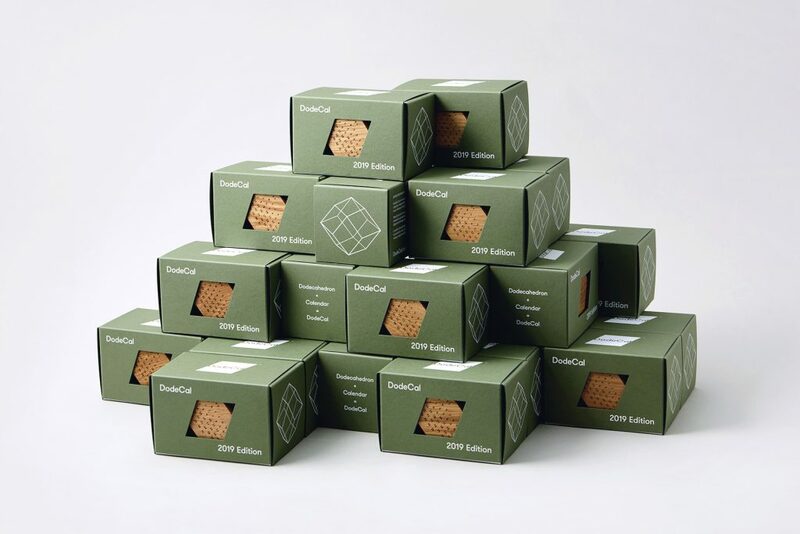 DodeCal comes wonderfully packaged in a custom made, die-cut box made from card stock that is FSC Certified and 100% Virgin ECF Fibre. 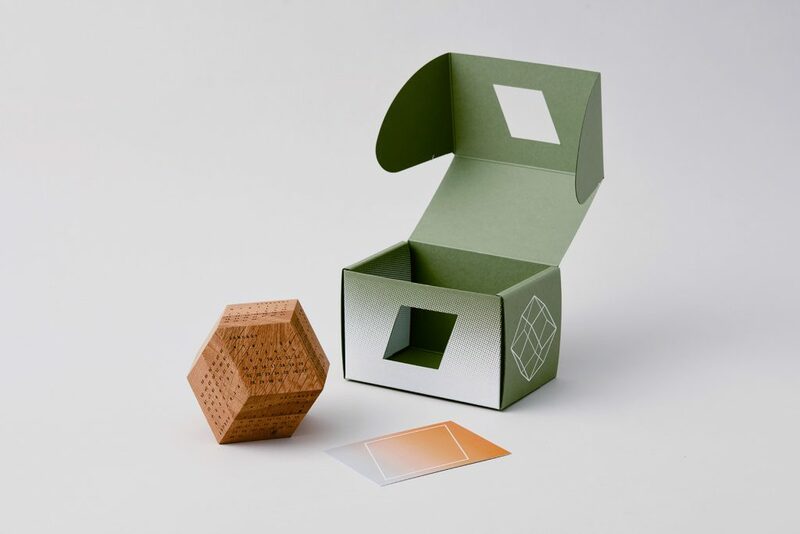 The unique design, on both the inside and outside of the box, is printed with environmentally friendly water-based screen printing inks. 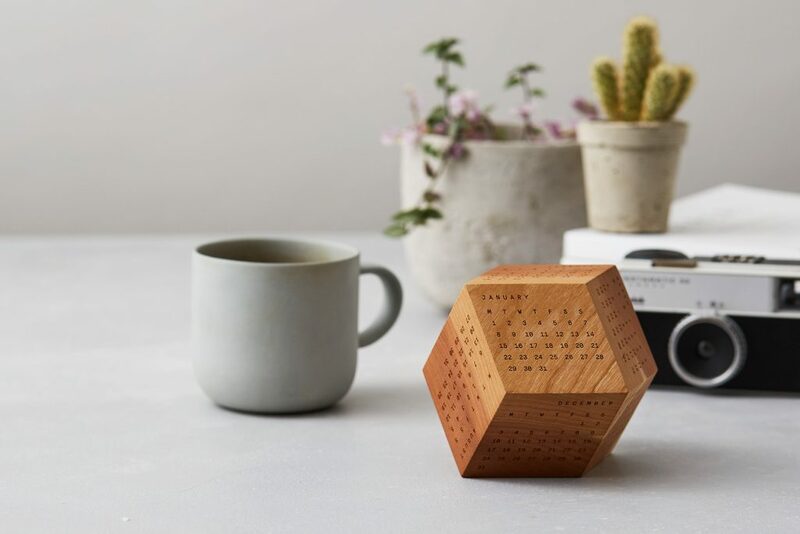 Beautifully made, nicely weighted and a joy to hold in the hand; DodeCal is a product made for those who value the fusion of craft, technology and design. 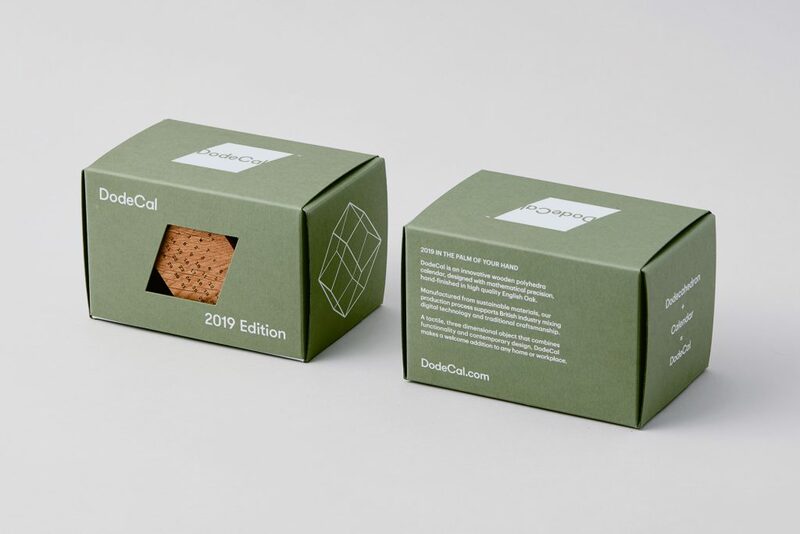 Available now and ready for shipping worldwide! 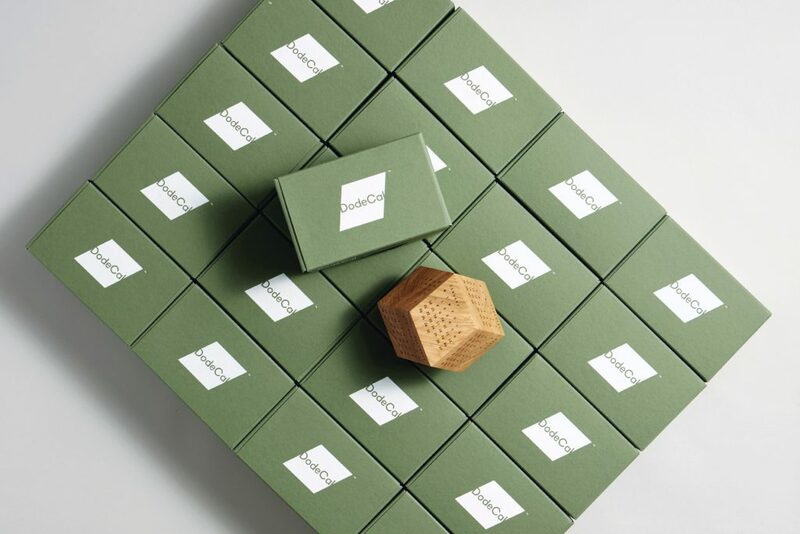 To receive the latest news, follow us on Instagram or sign up to our mailing list here.